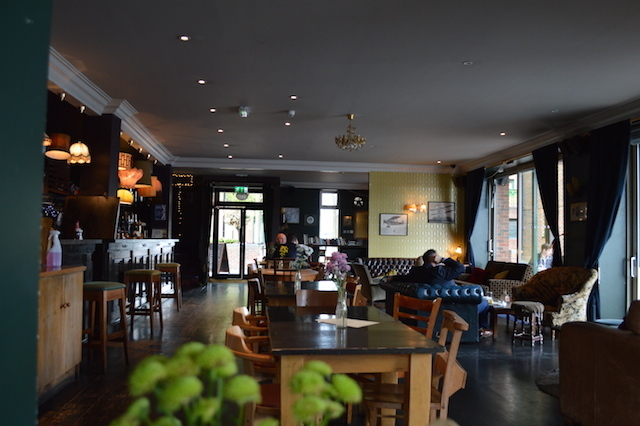 This pub was voted among the best in the Isle of Dogs by Londonist readers. What's in a name? Plenty of peculiar wordplay in this case. There is no St Ontiod. It's an acronym for On The Isle Of Dogs. The Pepper part comes from Pepper Street, on which this runty red-brick pub stands. 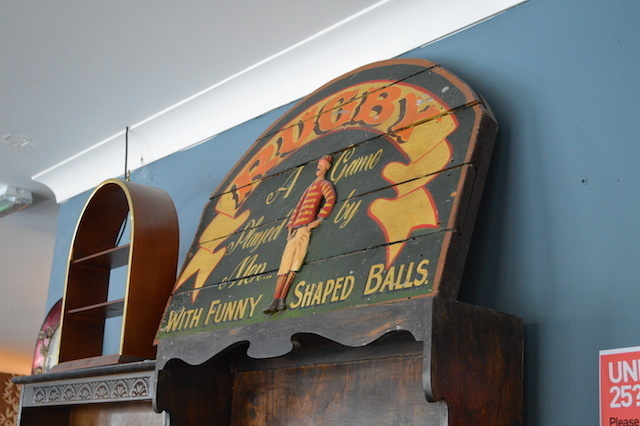 It's part of the Antic chain, and the usual jumble of crappy old wallpaper, chintzy furniture and jumble sale flotsam is present and questionably correct. It's not unwelcome, however. 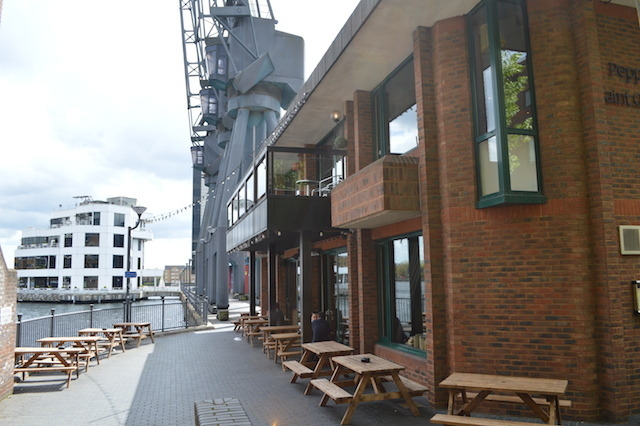 This is the Isle of Dogs, where nearly all other venues are clinical and uncluttered. A more homely drinking den is definitely a plus, especially since the closure of the North Pole. You'll be well serviced by the beers — a fine spread across draught and keg, with a number of unusual options. Our lunch was a trifle disappointing. 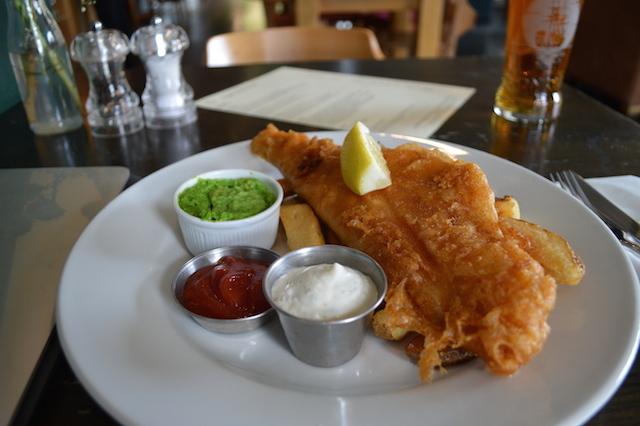 The haddock was 80% batter, served with a shameful helping of chips. Could do better for a tenner. The real joy of this pub lies upstairs. 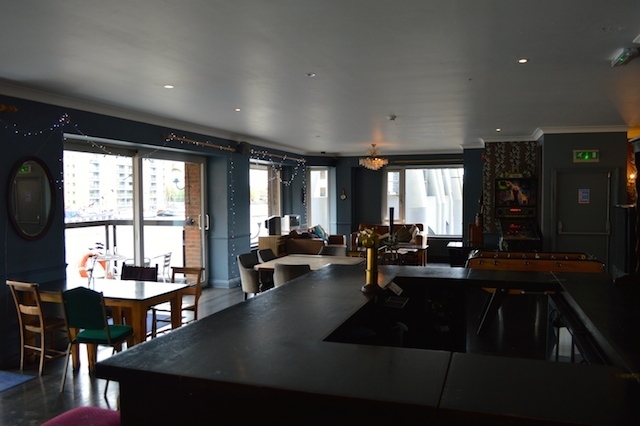 The brightly litter upper floor has a jolly nice balcony view over the Millwall Dock, framed by the gunmetal-grey cranes that line its quays. On Twitter as @PepperSaint. On Facebook.